Part of the appeal of tiny house living is being able to avoid spending your whole life paying off a huge mortgage. 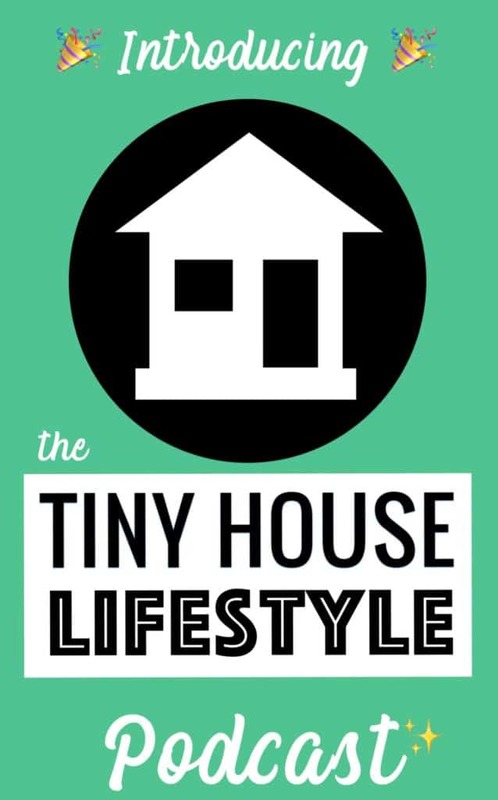 Many people in the tiny house community are also minimalists who endeavor to live simply and debt-free. But, while building or buying a tiny house does cost way less than building or buying a regular house, it still doesn't come cheap. I've had quite a few questions recently about tiny house financing, so I've done some digging for you to find out what exactly the options are when it comes to paying for your tiny house. 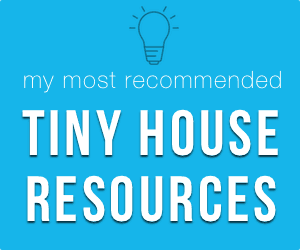 Please note that tiny house financing is not something I've got experience with personally and I cannot vouch for any of the companies or services mentioned below, as I have no experience with them myself. Of course, the best option for building or buying a tiny house is funding the purchase or build yourself. That way you can pay for what you need straight up, without worrying about interest rates and getting into debt. Your second best bet might be to borrow the money you need from someone you're close to. If you go this route, you'll want to come up with an agreement that suits you both and that doesn't leave your friend out of pocket. Greg Parham at Rocky Mountain Tiny Houses suggests going with an interest rate of 8-10%, to ensure that your friend gets a return on their investment and that you don't lose out too much. Some tiny house manufacturers have in-house schemes to help out their customers. This of course depends entirely on the company, but it could be a good way to break up and spread out your payments. If neither you nor your nearest and dearest have the funds to pay for your tiny house up front, you're going to have to consider borrowing the money from someone you don't know. Banks are one of the more obvious options. If you're going to build a tiny house on a foundation rather than on a trailer, comply with building codes, and fit with sizing requirements, you may be able to secure a construction loan or mortgage. The issue here is often that tiny houses are too small to qualify for these kinds of loans and that many tiny house builders want to build their homes on trailers. But if you can find a bank who will take you on, there are two types of bank loans you could go for: an unsecured loan or a secured loan. You'll need to speak to your bank to find out which options are available to you. Some tiny house manufacturers have deliberately got themselves classified as RV manufacturers, so that buyers can secure RV loans to help them get the money together to buy a tiny house. One company doing this is Tumbleweed Tiny Houses, who will be reclassifying its tiny houses as trailers in February. One company offering this kind of loan is Rock Solid Funding, which provides trailer financing and loans for RVs, boats, and motorcycles. This solution isn't perfect though, as RV loans are not designed for primary residences. To secure this kind of loan, you're likely to need a steady income, good credit, and somewhere else that you can call your primary residence. These loans generally come with higher interest rates and taxes. Loans are typically for between seven and fifteen years, with a monthly payment of between $500 and $1000, an interest rate of 4-7%, and a downpayment of about 20%. Tumbleweed suggests getting approved by a credit union before approaching them about buying a tiny house using an RV loan. They also recommend asking for more money than you think you'll need, partly because they might offer you less than you ask for and partly because you might want to factor in additional costs, such as shipping. Matchmaking sites such as TinyHouseLoans.com are striving to make it easier for wannabe tiny house owners to get access to funding, by connecting them with networks of third party lenders who want to help them get a good deal. Often the investors in these networks have an interest in supporting the tiny house movement. Rather than being in it to squeeze as much money out of the buyer as they can, they're in it to help them realize their tiny living dreams and support the tiny house movement. If none of the other options work out for you, there is of course the option of financing your tiny house using credit cards. It goes without saying that you have to be extremely careful and sensible if you were to take this option. You have been warned! What's The Best Way To Finance A Tiny House? Of course there is no one best way to finance your tiny house. The options available to you will depend on your credit history, your savings, your income, and a whole host of other factors. 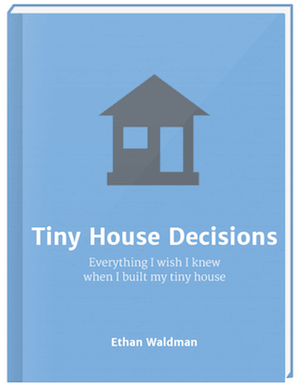 The first thing to do in order to find out what your options are is to get clear about what exactly you want from your tiny house. Are you going to build your house on a trailer or on a foundation? 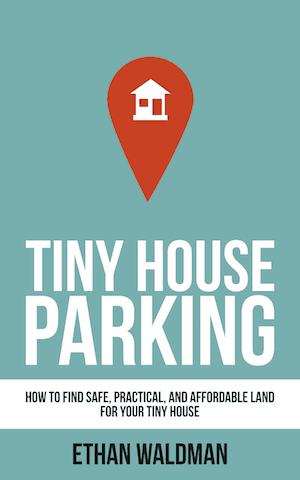 What size is your tiny house going to be? How much is is likely to cost? Once you have all of that information, you can work out how much money you need and approach any friends and family who might be willing to help you, research tiny house manufacturers, or approach your bank, an RV loans company, or a peer-to-peer lending scheme.